I've been wanting to try the cashmere matte polishes but have been bit skeptical, that and I can't find them anywhere. Happy to hear that you like them and they aren't chalky! You look fab! Loving your color scheme and that scarf is amazing! Love that color scheme and that scarf! You look so cozy! 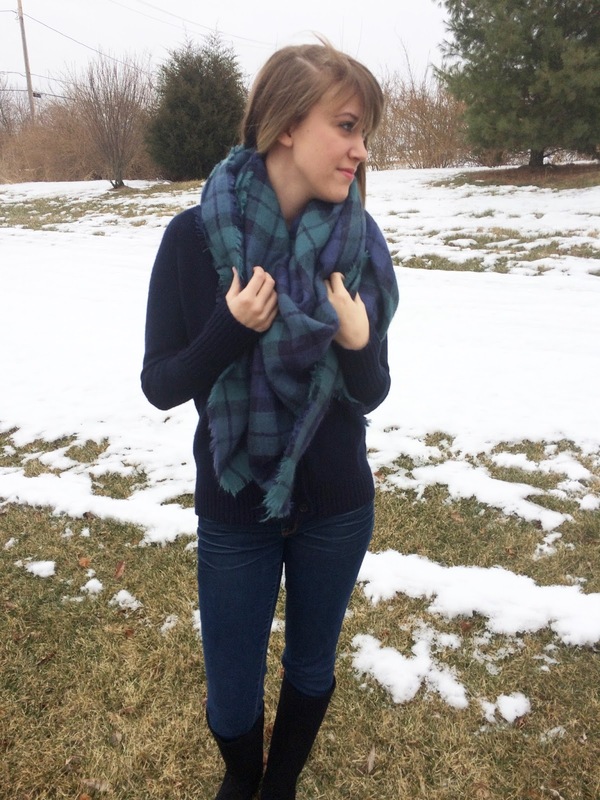 Such a cute scarf! Those are the best way to stay warm! Loving that very cozy looking scarf!!! It would come in handy today here in NY because it's positively frrrreezing! Adore the colors & that scarf! This is definitely one of my favorite combos, and you wear it so well. I have to say that Gray has been my go to color. I LOVE that scarf! SO pretty! Also, I am a little jealous of your chilly weather! YUP, so ready for warm weather!!! It's all about the coziness in this chilly weather...can't wait for spring to finally get here! Love that scarf! Looks so warm and cozy. Perfect color combo! 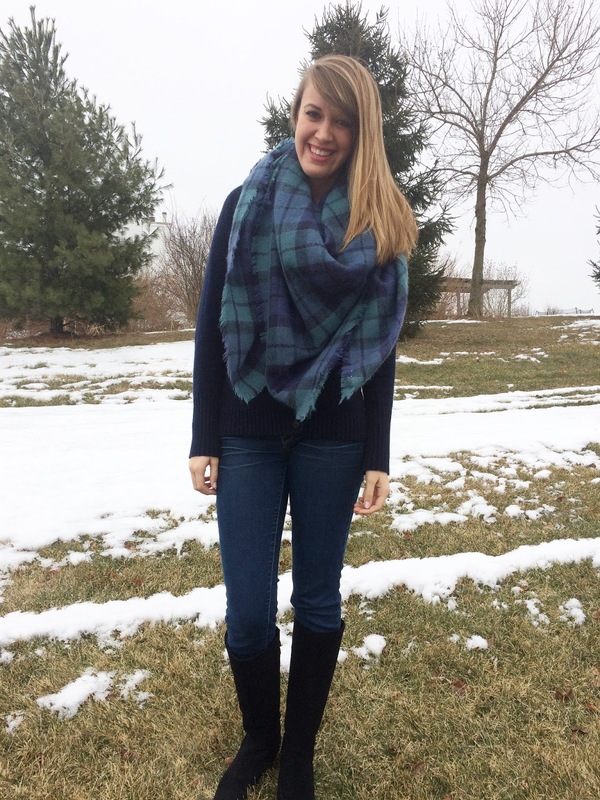 Love this plaid scarf! You look great! Love that scarf. That green and blue color look amazing on you! Great color combo! Love that scarf. I love your plaid scarf! such a darling winter look! How cute are you! 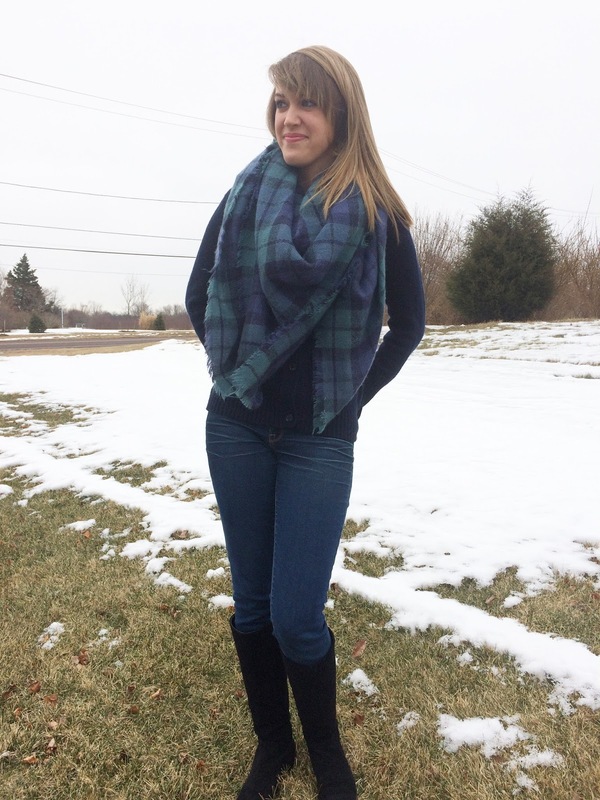 You can never go wrong with a plaid blanket scarf!